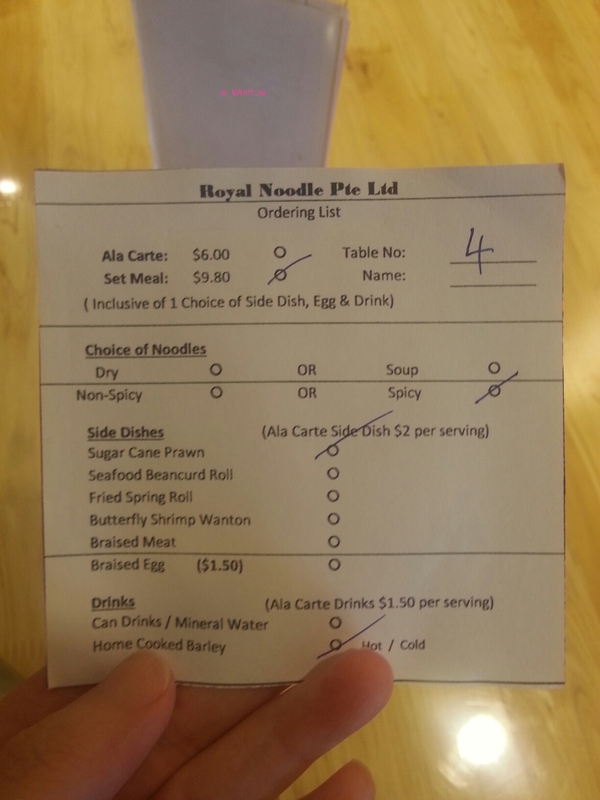 Royal Noodle (皇帝面) fit for the king. It is located along Circular Road. Interior is simple with homogeneous tables and chairs under warm lighting. 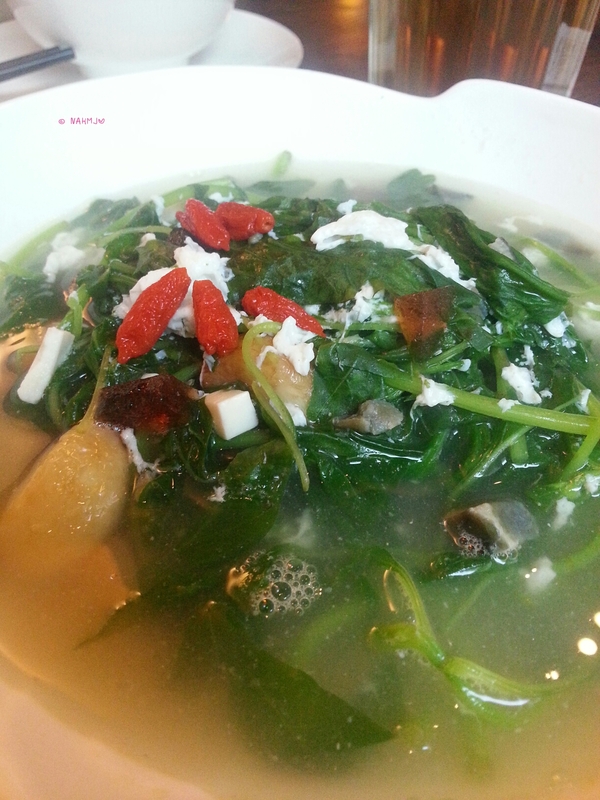 Menu is simple too with purely noodles and four variations; namely, soup or dry and with spicy or non-spicy. Everything is self-service from ordering to collection of food. First decide on what you want and whether you want set. 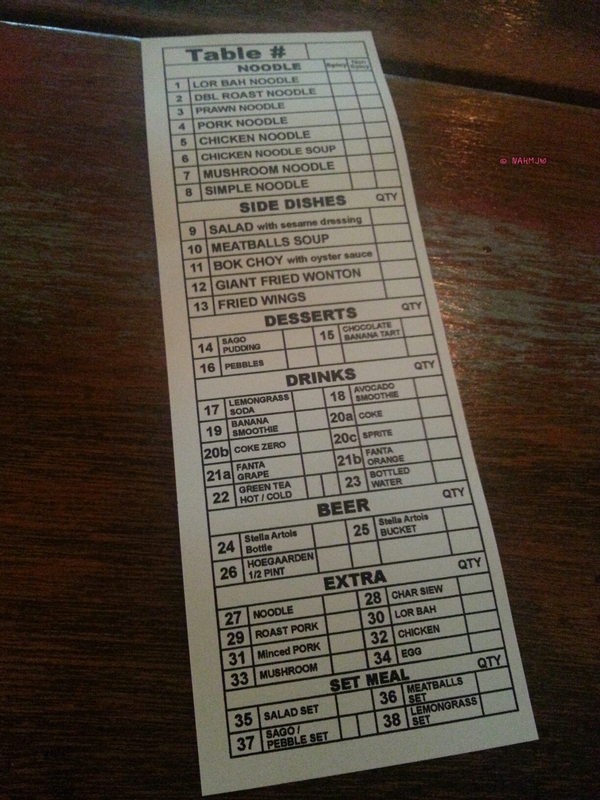 Take an order chit which is found on the table. For the set, beside the noodle, you need to chose a side and a drink. Once you are done, proceed to the order count; order and pay and you get a buzzer. When ready, it will buzz and proceed to the collection counter at the other end to get your food. 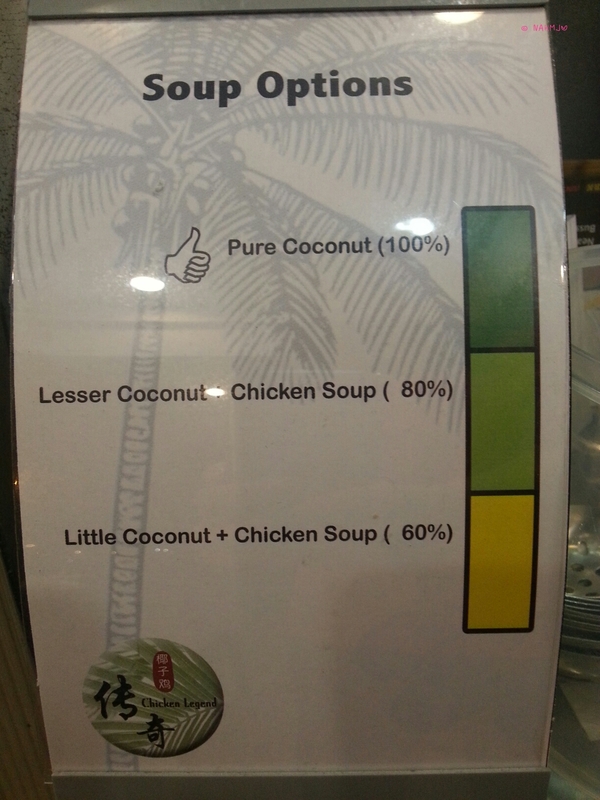 I tried both the dry and soup version. The noodle is absolutely delish. I relish in the bowl of simple noodle. It was eggy and flavourful. The soup is rich and tasty too. The rest of the ingredients are really less of an importance. But I still would prefer if there are some greens. 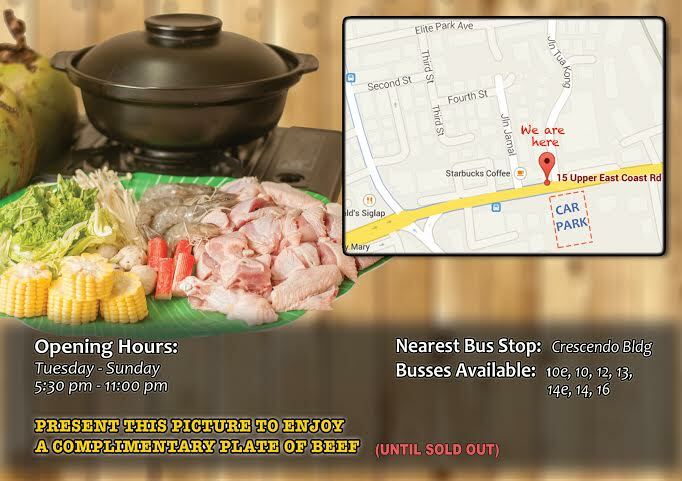 For the side, its a pity that they have mainly fried stuff, only the braised meat is non-fried. It would be awesome if they could offer a vegetable selection in the side. 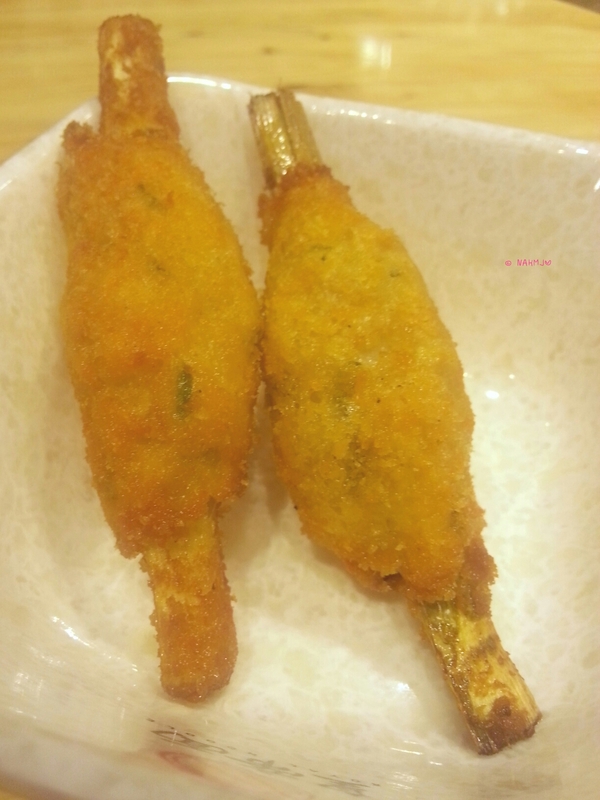 The sugarcane prawn was cripsy and filled with prawn sweetness. Braised Pork was pretty well braised, with pretty enough herb and spice, though it could be better. 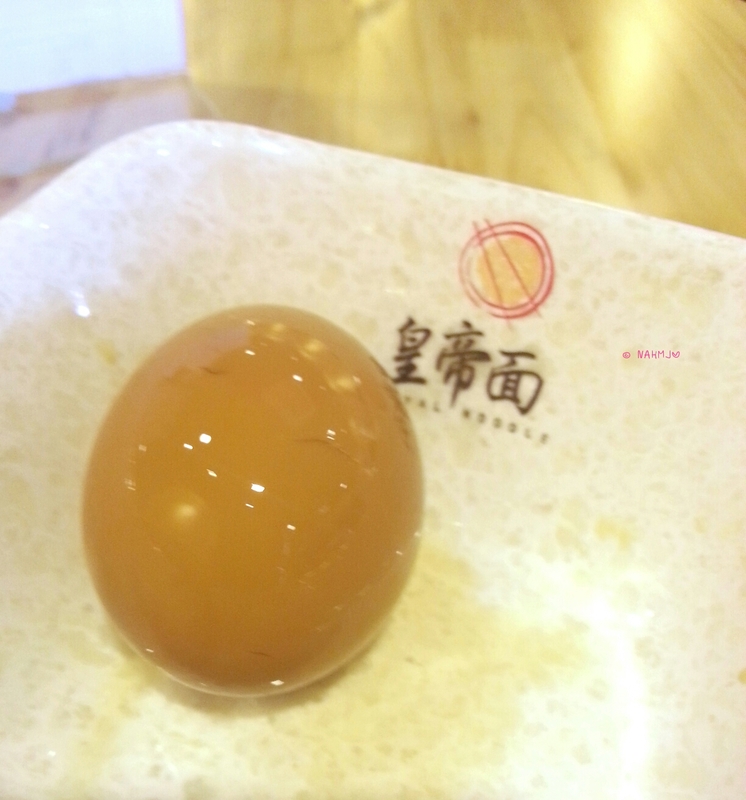 And lastly the Braised egg. My first tried was rather tasteless. On the second occasion, it was so much better. 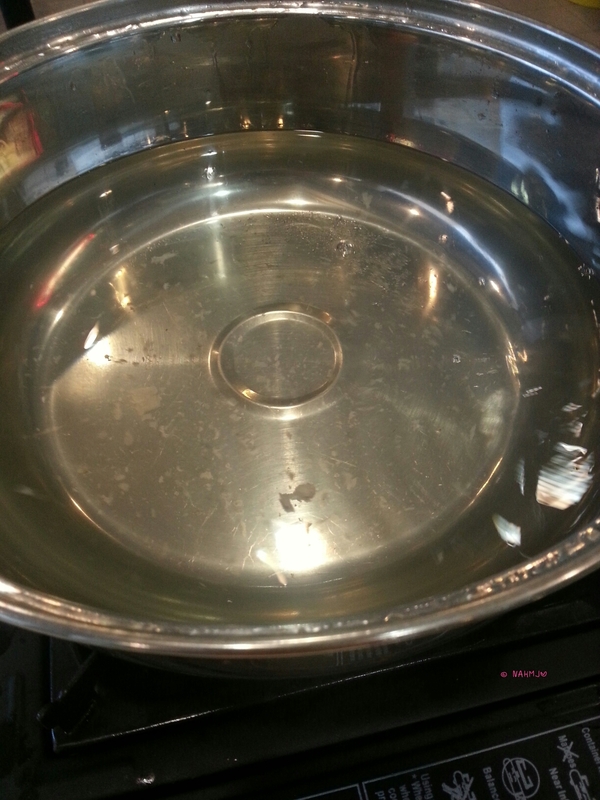 Personally, I still think the braised could be improved. I am not a noodle fan, but I enjoyed the noodles tremendously. One of the best. On the 8th day of the Lunar Year of the Goat, my ex-colleague organised a Lo Hei gathering at the First Culinary Restaurant. It’s an annual affair with this group of ex-colleague. 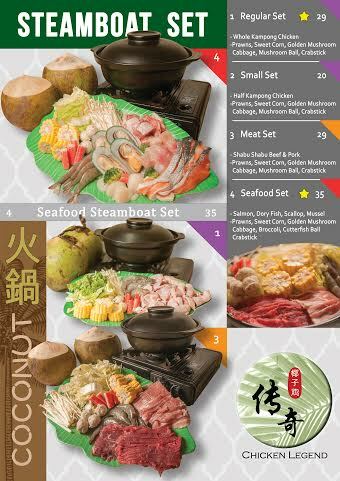 The First Culinary Restaurant is located within the ground of ITE Ang Mo Kio. The setting is of the typical Cantonese Restaurant design. As we have a total of 13 diners (initially was 15), we requested for a big table to seat all of us. Due to the big group, beside getting a Set for 10, we added a few more Ala Carte Dishes. 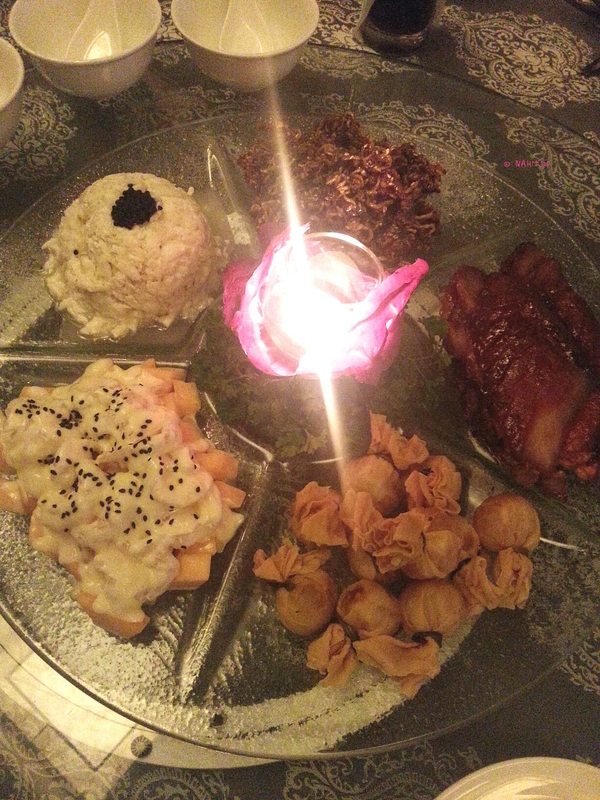 In the set, there were a total of 7 dishes. I only took a glance of the menu, so can’t really remember which were the dishes included in the set. 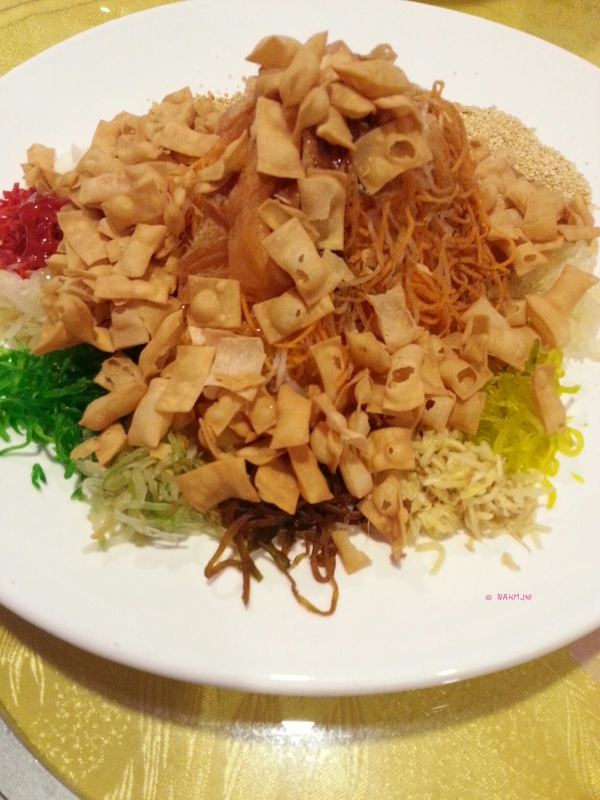 The first will definitely be the Lo Hei since it was Chinese New Year. First Culinary Restaurant is one of the rare restaurant these days that serves Shark’s Fin Soup. 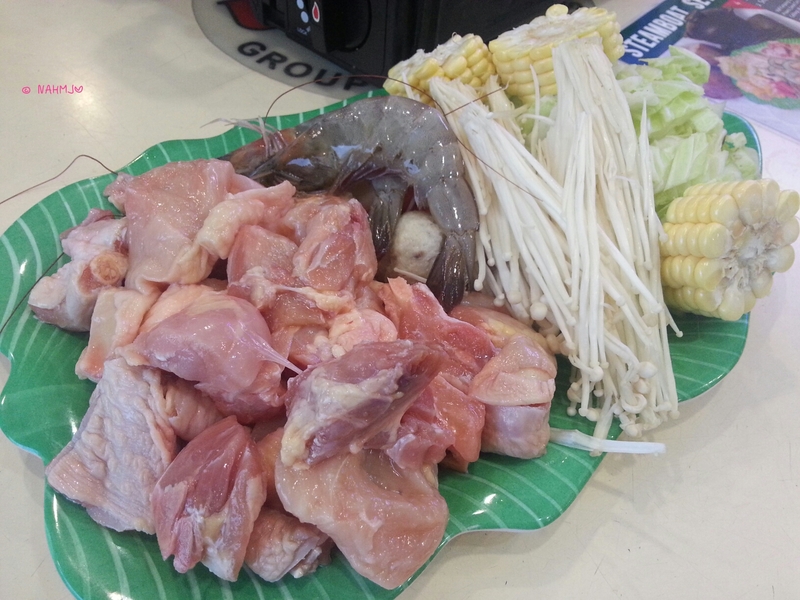 The pieces were relatively huge but unfortunately there was a slight fishy-like taste. 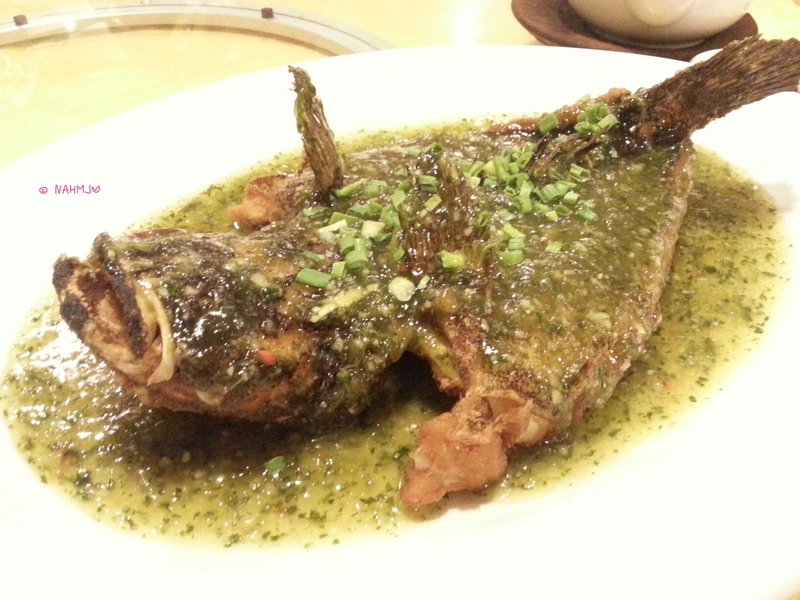 Next the Deep Fried Fish with special sauce (I suppose the fish was Garoupa.) We love the sourish flavoured sauce. It was appetizing. It was followed by the Wasabi Prawns. The sauce was creamy with slight wasabi flavour. It was a little too light for me but I think this is great for the general diners. 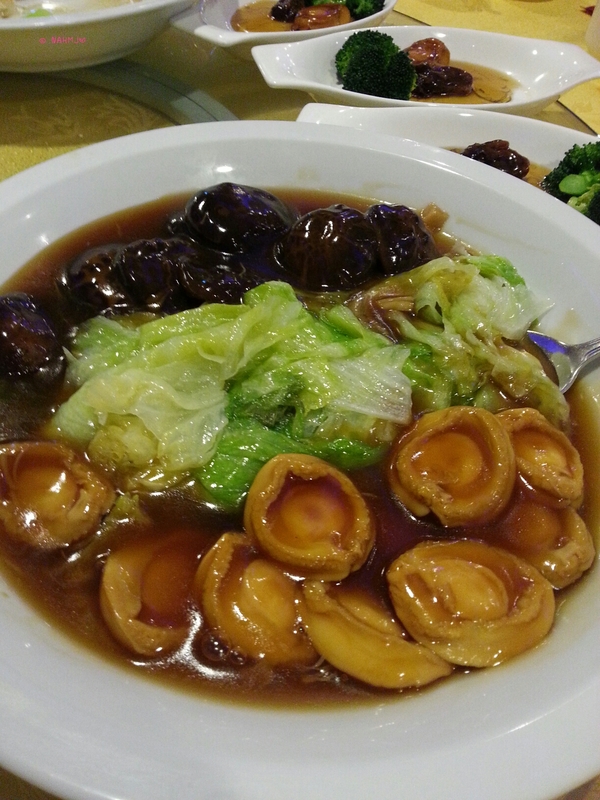 Then the ten-head abalone with Mushrooms with Lettuce. As it was only good for ten, we added three more Ala Carte. It came with Dried Oysters and Broccoli instead of Mushrooms and Lettuce. There was Ee Fu Noodles as the second last dish. 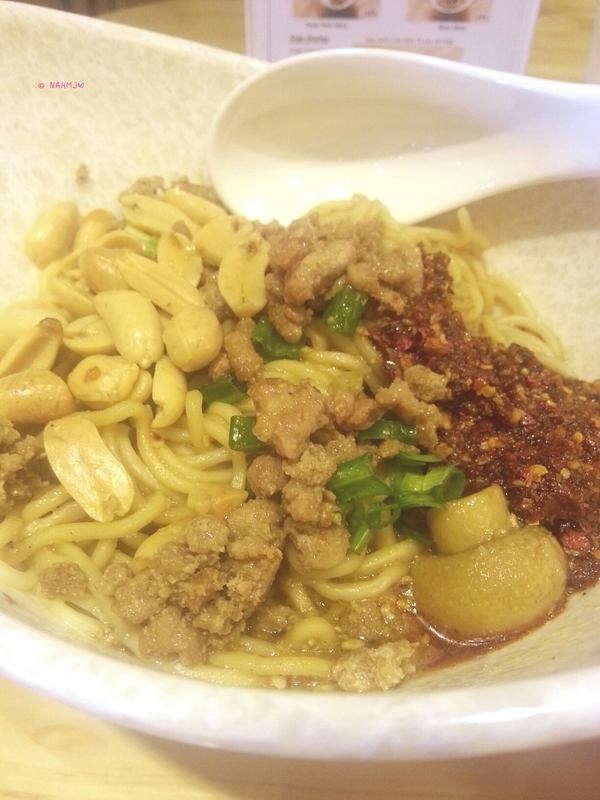 This is one of the very tasty Ee Fu Noodle served. It was delish. Finally, the Chilled Mango Sago. It was full of Mango goodness and they added some strawberry into it for the nice reddish colour. The Ala Carte dishes that we have (I think these are Ala Carte) were, the Roast Suckling Pig, Roast Duck and Scallop and Prawns with Tofu. The Suckling Pig skin was very crispy as it should be. It was very well roasted. And there was thin layer of fat underneath the skin. But I didn’t like the fat. 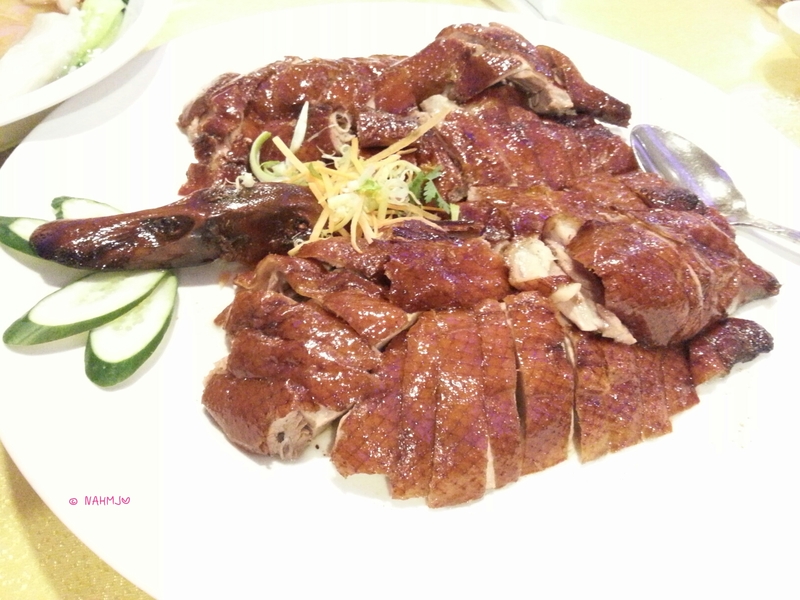 The Roast Duck was a huge portion. We didn’t finish it so my ex-Manager took the remaining home to enjoy with her family as none wanted. Don’t think we didn’t finish because it wasn’t delish. That was incorrect! This is one of the more flavourful Roast Duck. I am not a duck fan, but found this to be good. Everyone at the table sang praises of it. The last Ala Carte was the Scallop and Prawns with Tofu. The Tofu was hidden under the Scallop and Prawns. I found the scallop a little fishy. The remaining was fine. Not an excellent dish but was decent. A great place for gathering especially if you have about 10 – 15 people and wanted to be seated at a table, instead of two. Food was delish with good service staff. And the bonus, free parking at the ITE carpark. 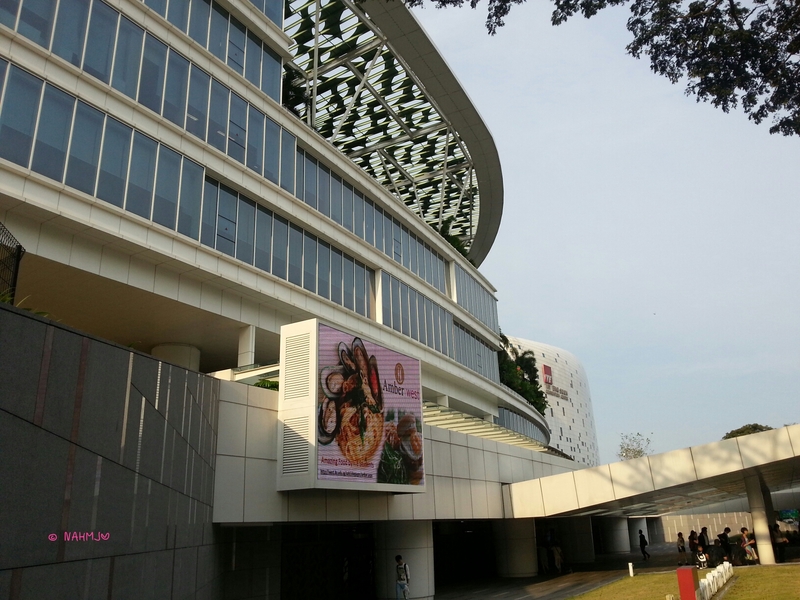 And you could drop by NTUC, a few door away, to pick up your groceries too. Lol!! I enjoyed the food and most importantly the great company. Once a upon a time, there was an Old House and it was at Neil Road. Lol!! This Old House that I am talking about in this post is not found in any fairy tales but it is a Zi Char Restaurant. 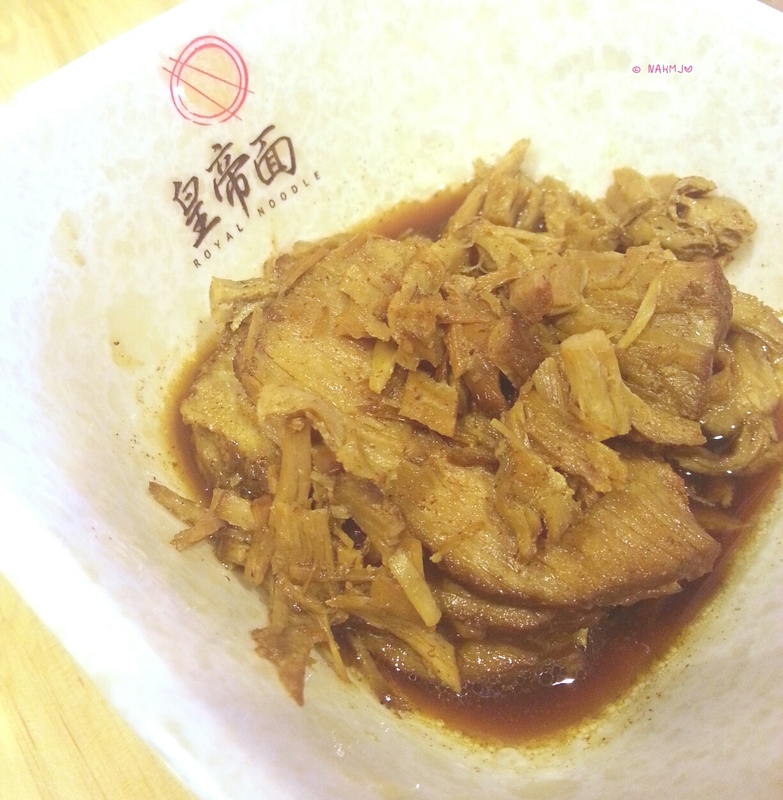 What is Zi Char? For the benefit of my overseas readers, let me explain what is Zi Char. When it is translated literally, Zi means cook while Char means fried. 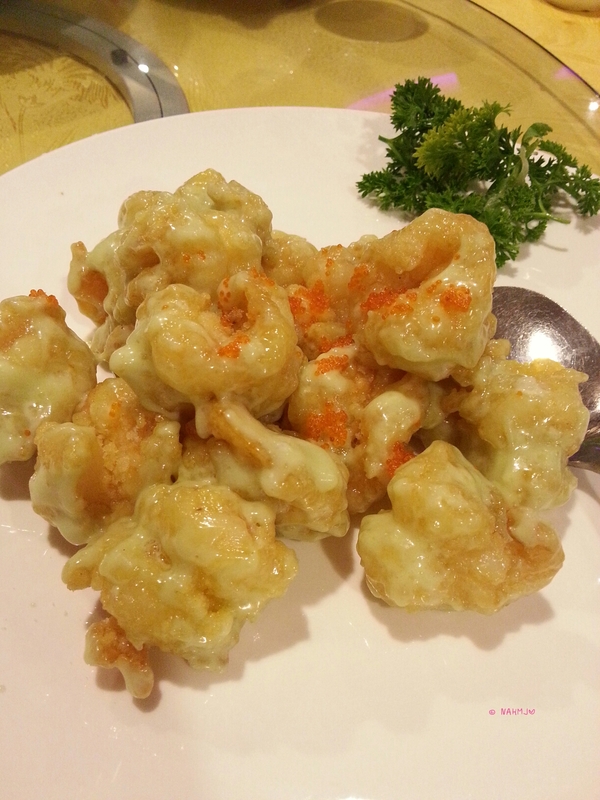 So to put it simply Zi Char means they offer a wide range of variety of Chinese food coooked in any methods. At my first visit, I was too enthralled to try the Dinosaur Prawn Noodle. 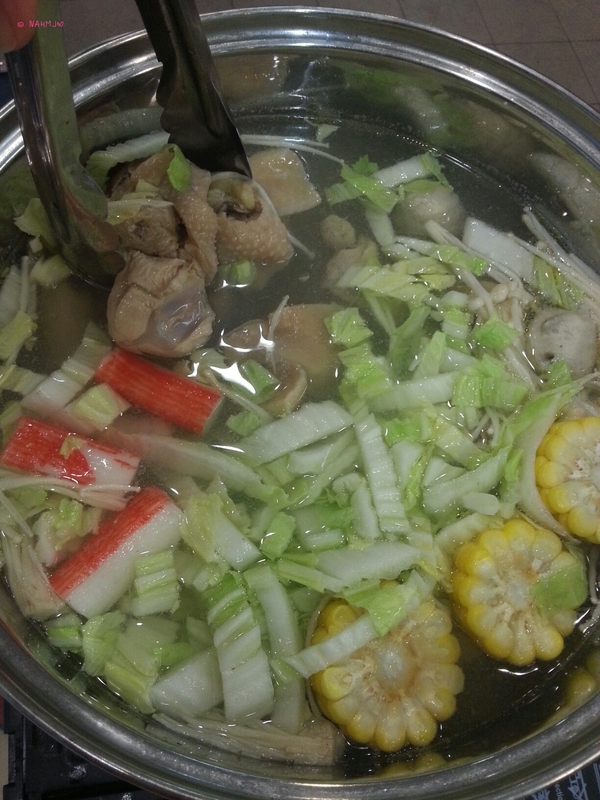 I don’t usually go for the yellow noodle (shown in the photo) as it has an unpleasant alkaline taste which I dislike. But I have some feedback that it has minimal so decided to give it a try and indeed I could hardly taste the alkaline taste. The Dinosaur Prawn was huge. There are also pork ribs. The meat was tender and melted in the mouth. And the soup was rich in prawn flavours. 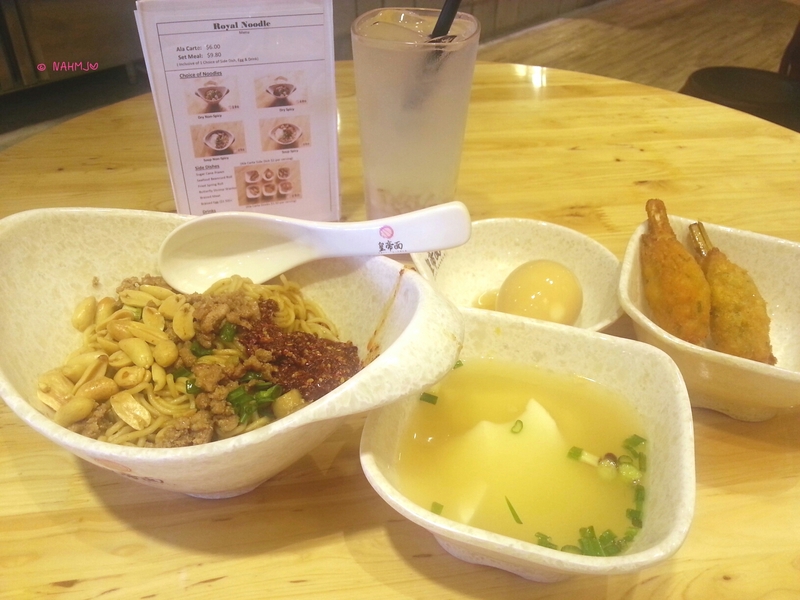 It was an awesome bowl of noodle for lunch. 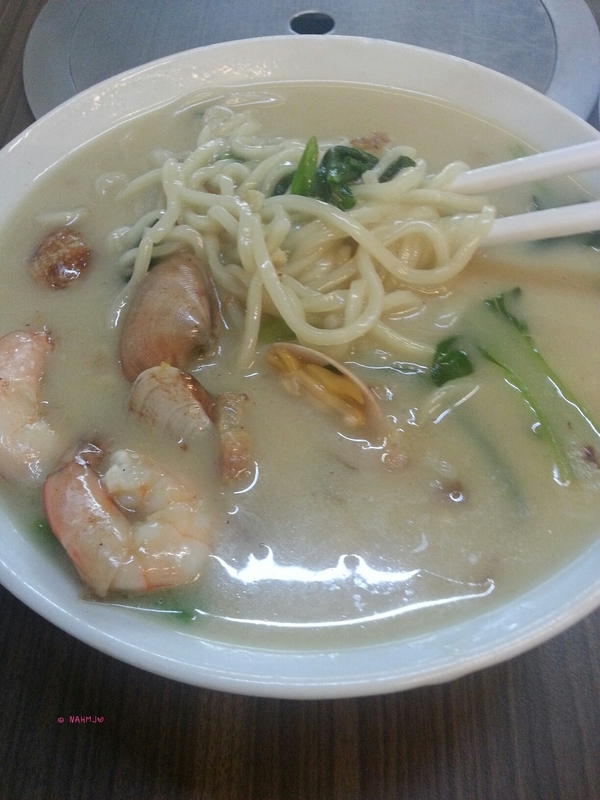 Beside the Dinosaur Prawn Noodle, there other various selection for Prawn Noodles. 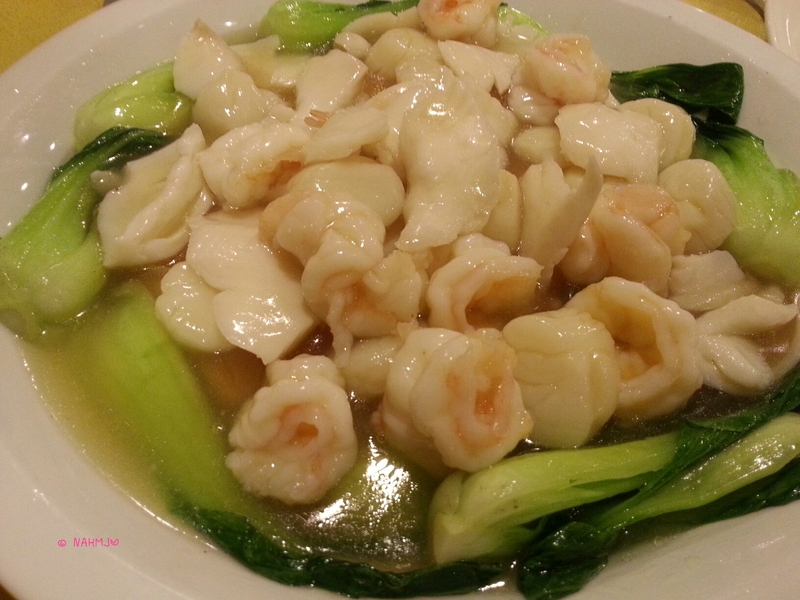 You can go for purely prawn noodles without pork ribs and various sizes of prawns. The next I tried was the White Lor Mee. 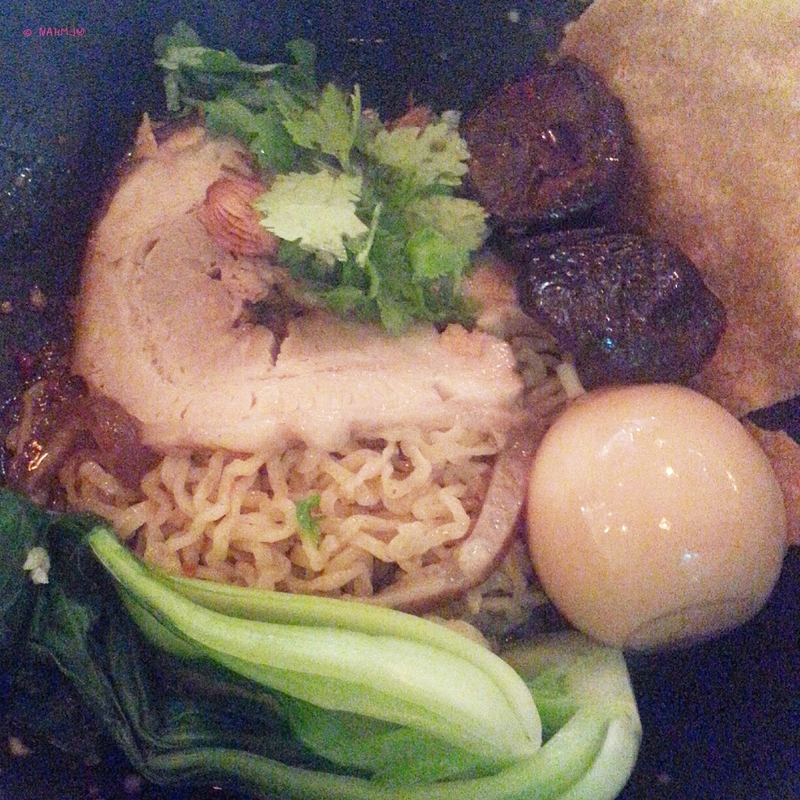 When I see the word Lor Mee, I was doubtful about its taste. As I am not a fan of the Lor Mee that we normally find in the Food Centre. This one was exceptionally tasty. 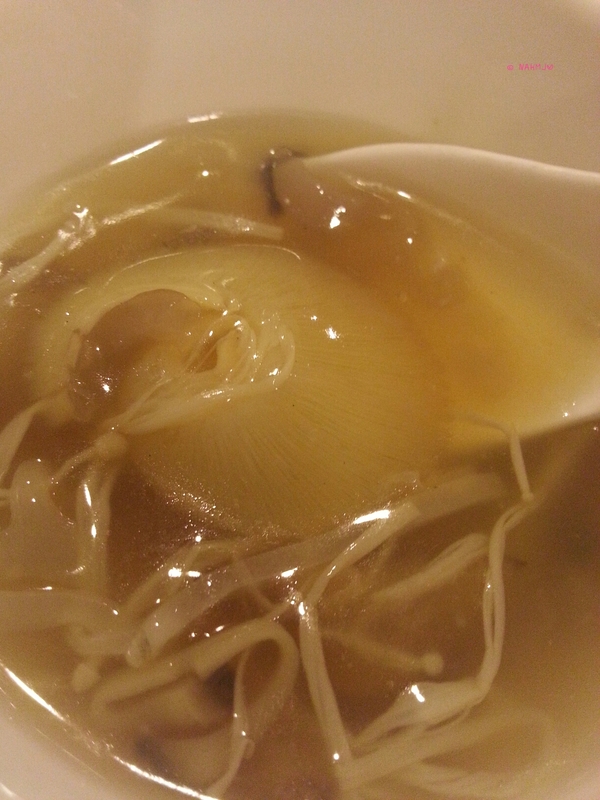 The soup was flavourful and the best part, the noodle isn’t the yellow noodles but kind of look like the handmade type. I am very impressed with this dish. I have passed by the Old House on several times, and it is only till now that I decided to give it a try. I have a very good impression of Old House based on the 2 dishes I tried. Both are equally good. I am gonna try more of their dishes. To kickoff the year 2015, my company organized a Gala Dinner at Regent Hotel, A Four Seasons Hotel, for the Singapore staff. There were a total of about twenty odd tables at the Royal Pavilion Ballroom which has a very high ceilling, quite a nice ambience. I am more interested with the food than anything else. That’s a typical behaviour of I suppose a foodie. LOL!! It was a 8-course dinner. After all the awards presentation, finally the first course was served. Me too got an award, for 3 years long service award. The first dish was the Regent Deluxe Combination with Stir-fried Crab Meat with Egg White and Caviar, Chicken Money Bag, Honey BBQ Pork, Prawn Salad and Crispy Baby Squid. 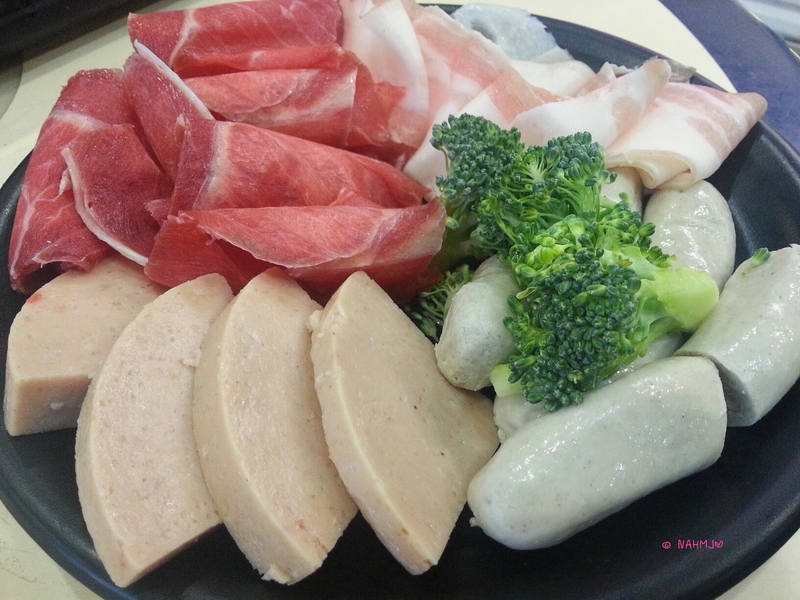 We like this dish but find the Honey BBQ Pork slices were too huge. Personally, I would prefer the dressing for the Prawn Salad to be thicker so that more sauce were coated on the prawns. 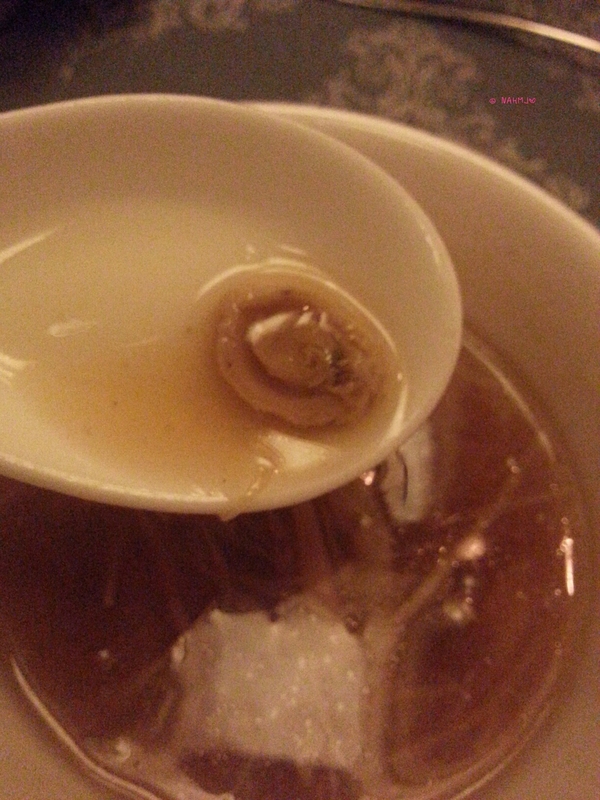 It was followed by the Braised Baby Abalone Soup with Dried Seafood. It was tasty and look at the tiny Abalone. I didn’t like them as it was a little fishy. 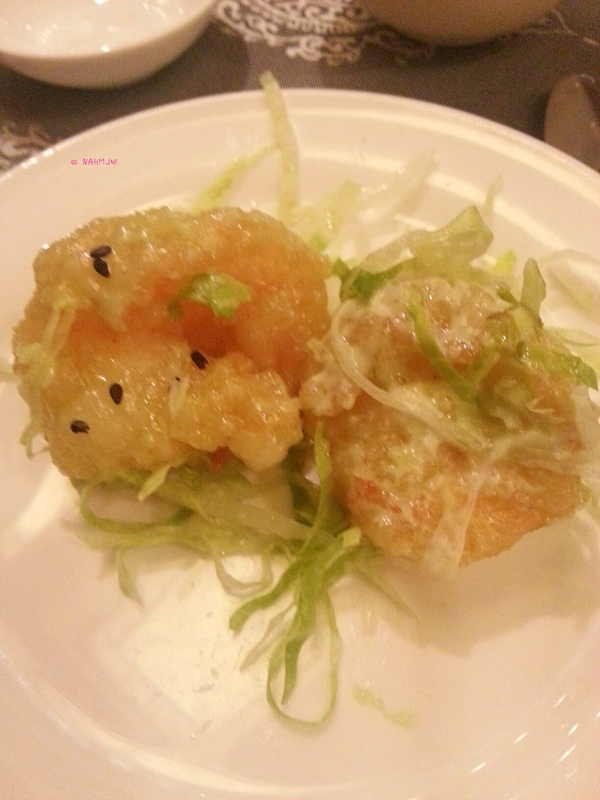 Next came the Crispy Prawns with Wasabi Mayonnaise. The prawns were fresh with lightly Wasabi in the Mayonnaise. I would certainly prefer if the taste to be stronger but I think this level would suit the majority. Despite the light taste, people whom dislike Wasabi still didn’t like the dish. 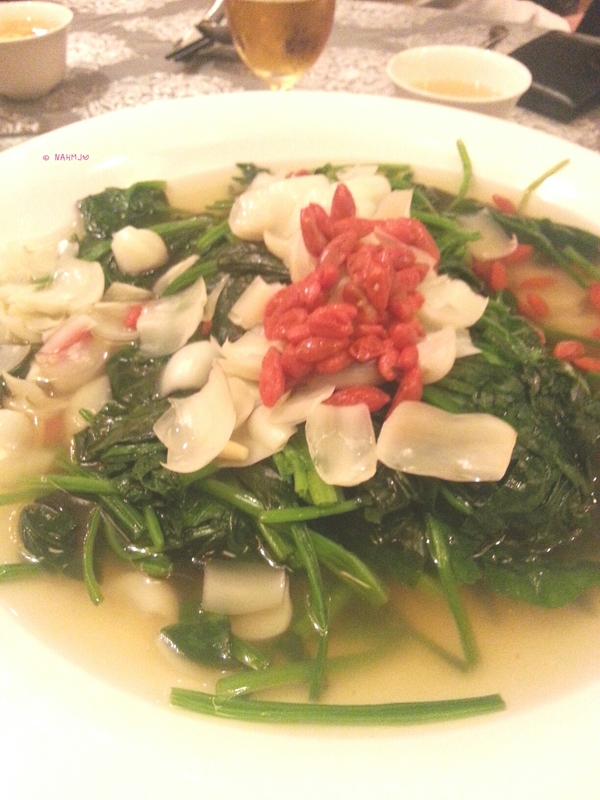 Right after the prawn was the Poached Spinach with Fresh Lily Bulbs and Wolfberries in Superior Stock. None of us at the table enjoyed this dish. Not only it was bland but we felt there was a unpleasant bitter after taste. We left most untouched after two mouth. 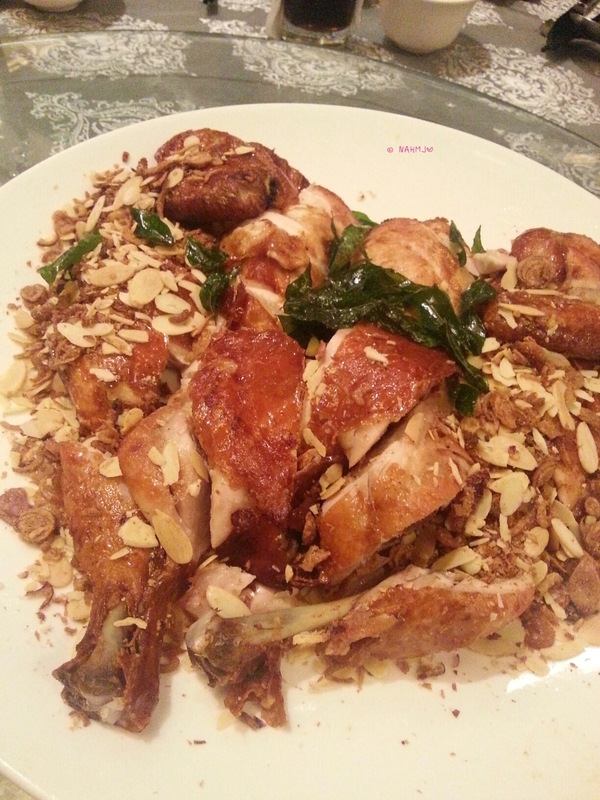 Fifth dish being the Roasted Crispy Chicken “Bi-Feng Tang” Style. The skin was crispy and the Almond was flavour, but the chicken wasn’t as tasty as we expected. 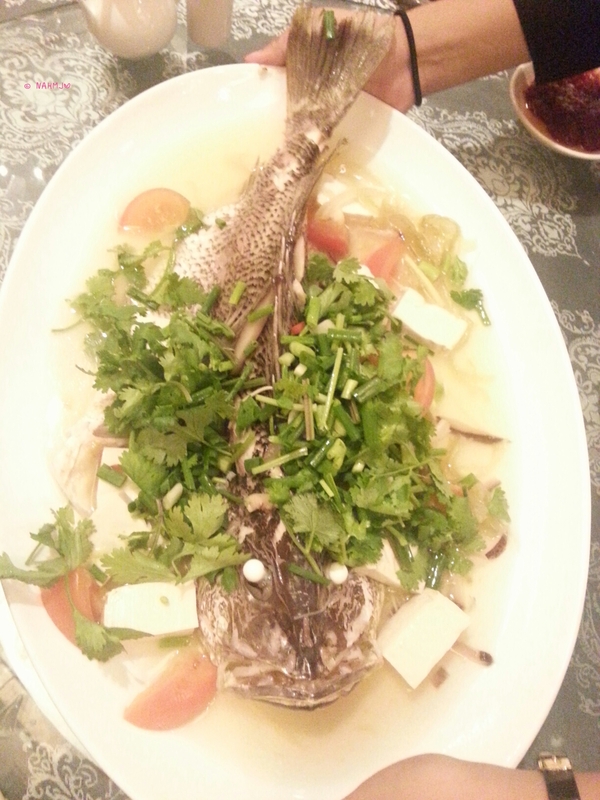 Then we have the Steamed Live Snapper in “Teochew Style”. I am not sure why there are tofu since it is Teochew Style and I don’t really taste the sour plum. I suspect this wasn’t added. 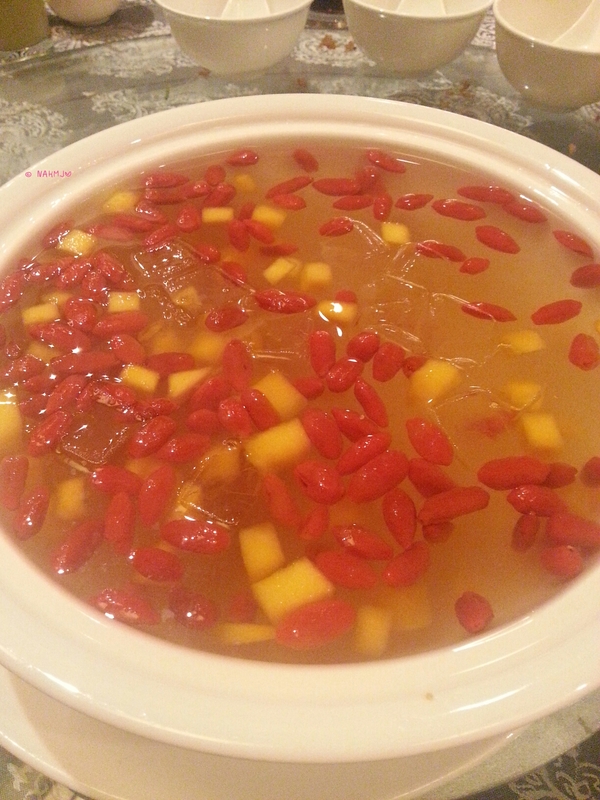 In fact, in Teochew Style, the sour plum is the key ingredient. The Snapper was at least fresh. 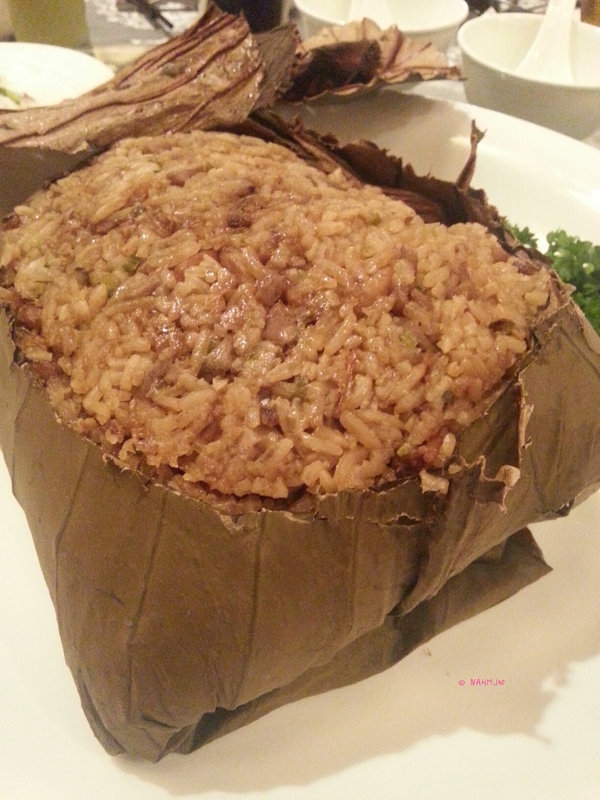 Before our dessert, we were served with the Steamed Fried Rice Wrapped in Lotus Leaf. I didn’t quite like the rice as it was pretty fishy and the rice a little too soggy. Lastly, dessert time, also my favourite time as I like desserts. We have the Chilled Lemongrass with Aloe Vera, Wolfberries and Mango. Most of us enjoyed the dish. This dessert was lightly sweetened and lightly lemongrass scented too. 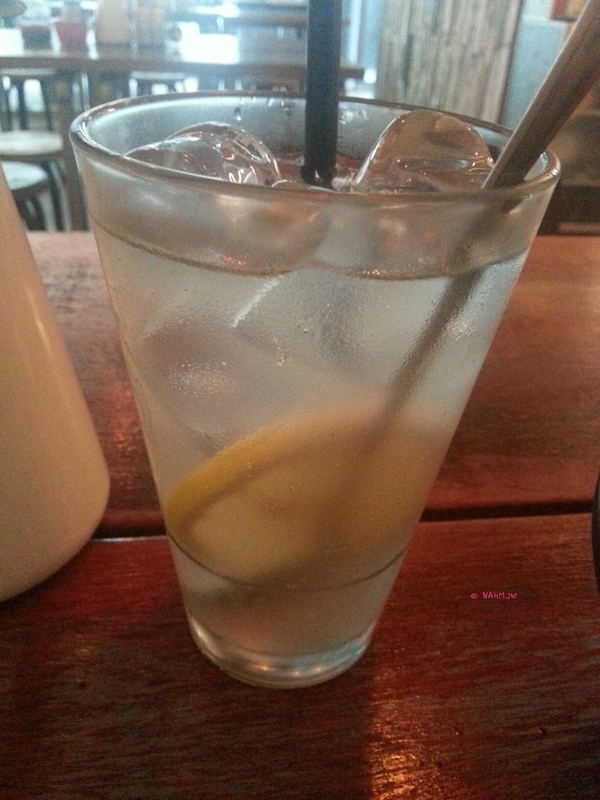 It would be perfect if the lemongrass could be slightly stronger. With magic performance, a joke filling performance, together with good service from the service crew and pretty delish food, we certainly enjoyed ourselves. An a special thanks to Cheryl the service crew who served our table. Interestingly, I was back to Regent Hotel as my sister arranged a staycation for our pet dog Cookies. Click here to read about the staycation. I was rather excited when I knew that Xi Yan (囍宴) has arrived in Singapore and set foot at Shaw. I tried the Xi Yan Sweet in Hong Kong during one of my trip last year and I like their food very much. And on New Year Day, to start my 2015 on a right note, I asked my Dad and my aunt for a lunch feast at Xi Yan. 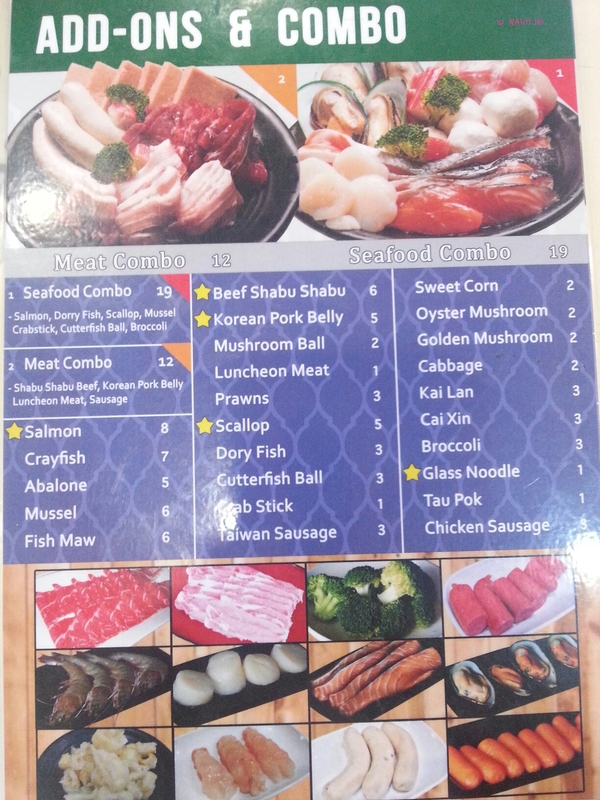 The menu offered at Xi Yan Shaw Singapore was slightly different from the Xi Yan Sweet in Hong Kong. I see that there are some local flavours especially the desserts. For the menu, click here. We have the Jelly Fish and Cucumber with Wasabi Sesame Sauce, a cold dish, as our appertizer. It has crunchy cucumber and crunchy chewy Jelly Fish in nice scented Wasabi Sesame Sauce which I could hardly taste the Wasabi but only the Sesame. I think it would taste better if the Wasabi taste could be a little more obvious. 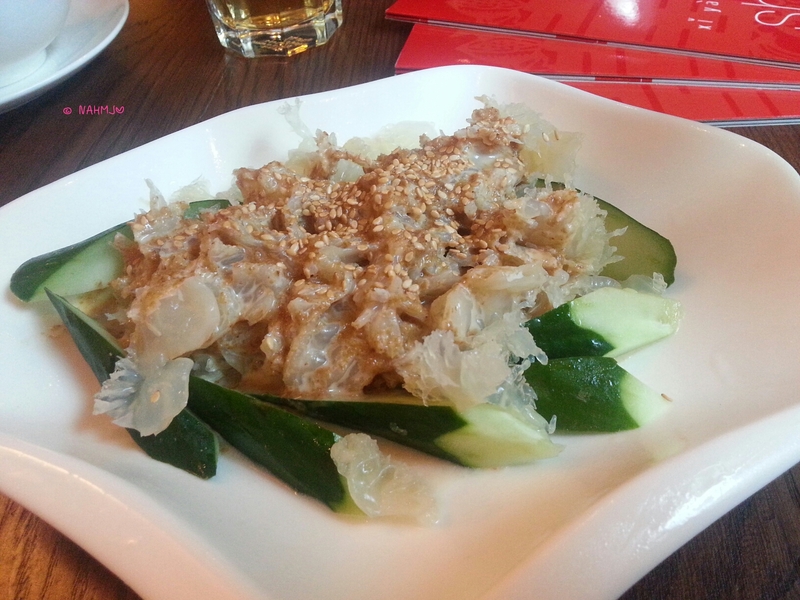 Nevertheless, though it is dominated by the Sesame Sauce, it went very well with both the Jelly Fish and Cucumber. 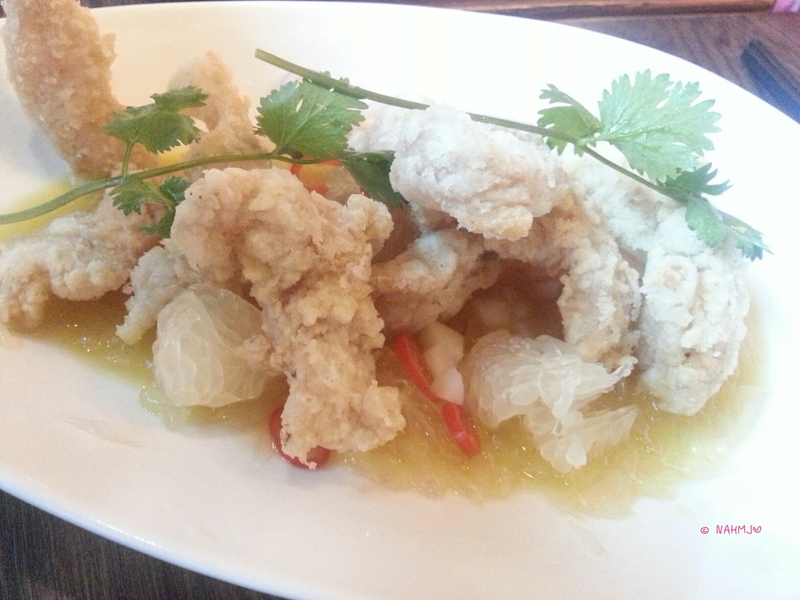 Usually we have the Deep Fried Shrimp Paste Chicken, but at Xi Yan, they used Fish instead of Chicken. It tasted as good. The Deep Fried Shrimp Paste Fish Fillet is on a bed of Pomelo Chestnut Salad. The Pomelo Chestnut Salad has a “bath” of citrus sauce, pretty sourish. Likewise, I couldn’t taste the chestnut but only Pomelo. The deep fried fish go well with the citrus sauce too. 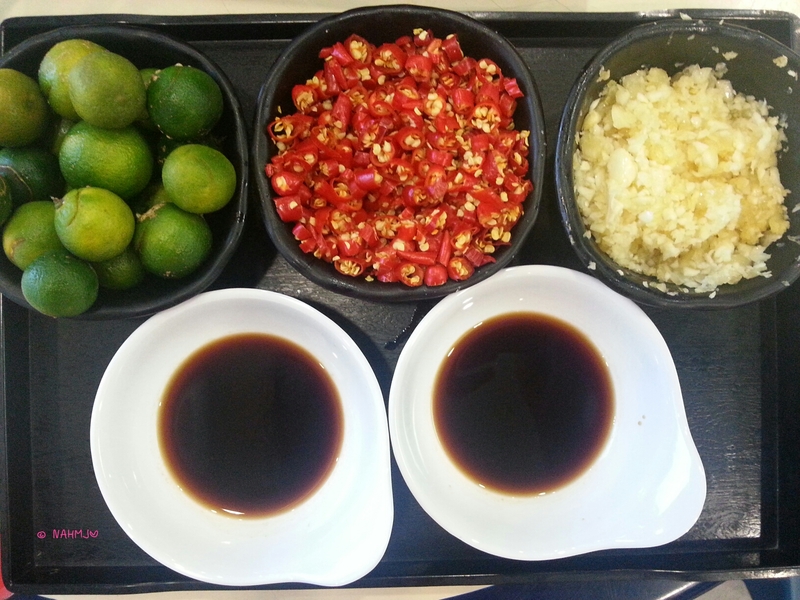 But once you dip it with the citrus sauce, it masked the taste of the Shrimp Paste. The Spinach with Three Types of Egg was a little bland, at least for me. I prefer it to be a little more salty. Both my aunt and my dad has no complain though. We also ordered a “Pregnant Woman” Fried Rice. I certainly have no idea why it is named “Pregnant Woman Fried Rice. It was fried with olive, dried shrimps and ginger. It was very tasty. 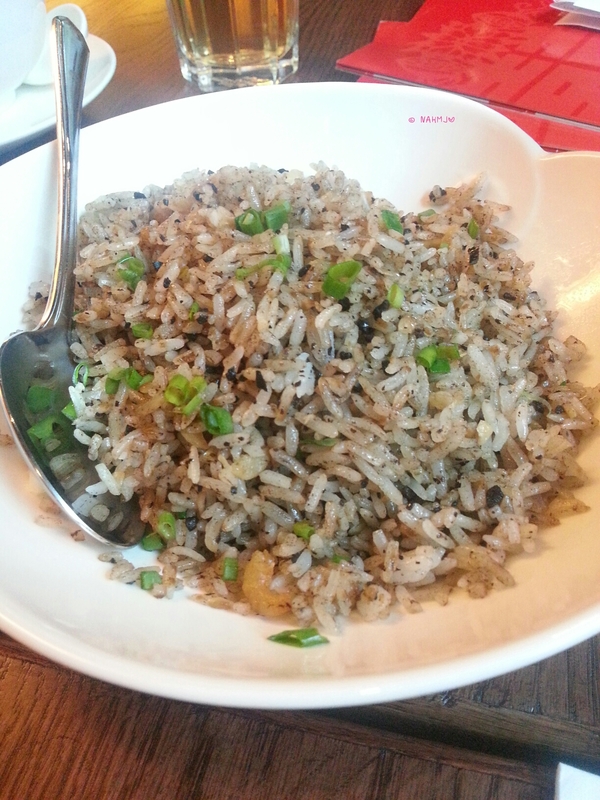 I like the fried rice very much. How could we miss the fabulous desserts at Xi Yan and since I have always enjoy desserts more than Mains. We ordered two desserts for sharing. The Coconut Ice Cream with Palm Sugar Jelly in Coconut Cream and the Green Tea and Black Sesame Glutinous Dumpling with Sweet Potato in Ginger Soup. And I have forgotten to capture a photo of the Glutinous Dumpling dessert. My Dad didn’t try the ice cream as he avoids cold stuff. Both my aunt and myself enjoyed the coconut ice cream. 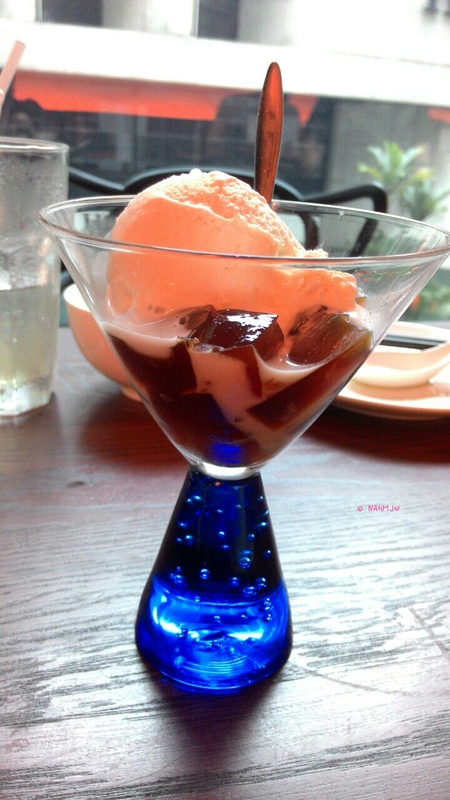 I find this creation unique as instead of drizzle the palm sugar over the ice cream, Xi Yan make it into Jelly instead. This was certainly original. The best part in the creation was the jelly provide another texture to the dish. The Green Tea and Black Sesame Glutinous Dumpling with Sweet Potato in Ginger Soup came with only 2 dumpling so one for my aunt and one for my dad. The dumpling was pretty awesome but everyone of us find the Ginger Soup too sweet for our palette. 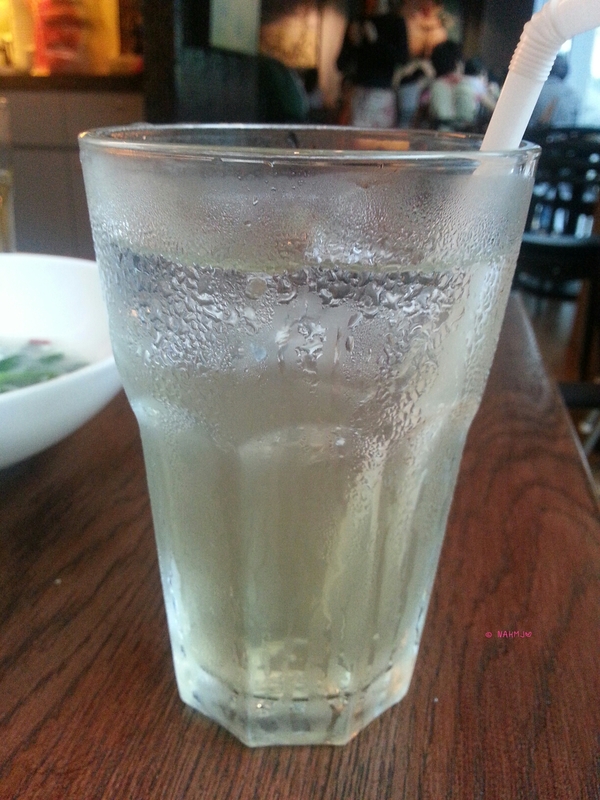 I was some how hooked on to Lemongrass drink so I ordered an iced one to try. Xi Yan Lemongrass drink has a good balance of Lemongrass scent and sweetness. It was a sumptuous New Year Day lunch. 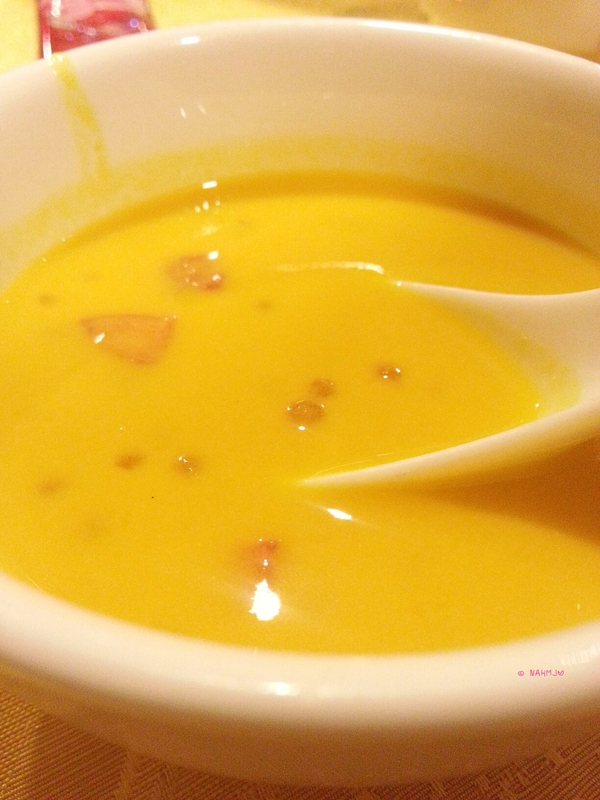 Xi Yan Shaw Singapore is certainly as good as Xi Yan Sweet Hong Kong. I somehow find it cheaper at Singapore than Hong Kong. And I am certain about returning to Xi Yan. I Want My Noodle has a very cute Chinese name, 见面就笑. When it is literally translated into English, it means you smile when you see noodles. An interior with much industrial theme which you can easily identify with the cement floor and some piping as decoration. 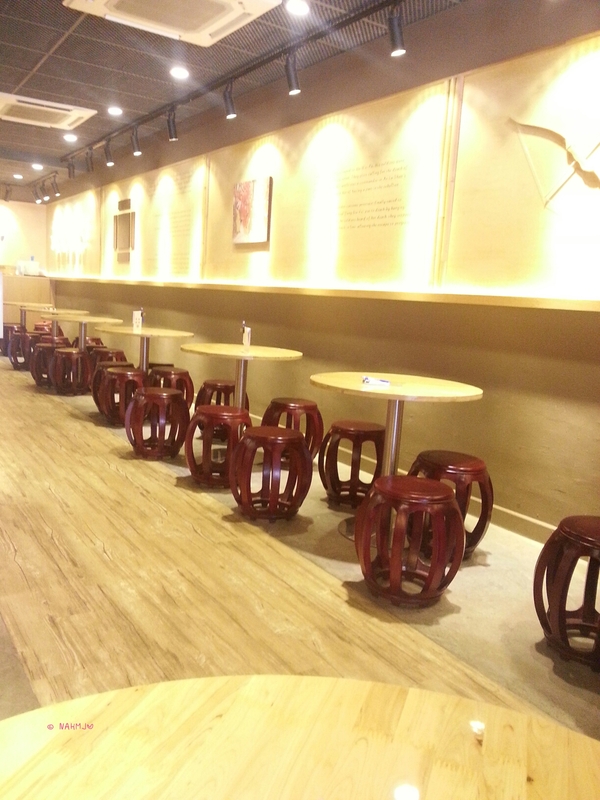 The furniture aren’t fanciful, only some wooden tables and wooden chairs with metal pipe-like frame. I Want My Noodle crafts fresh egg noodles daily and it offers only egg noodles. You won’t find any other types of noodles or rice in the restaurant. 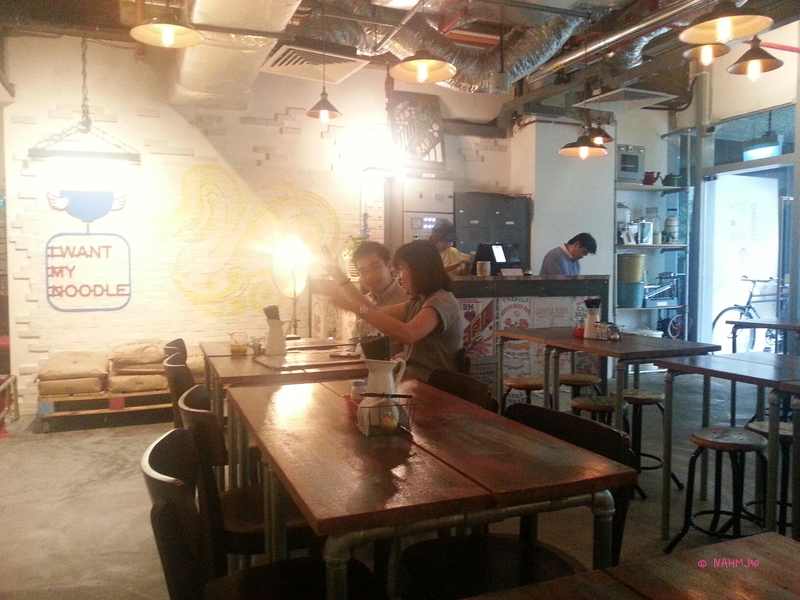 Other dishes on the menu are a salad, a meatball soup, desserts and drinks. Once you have decided, take an order chit which can be found on every table; fill it and bring it to the cashier and made payment with only cash. And you will be served when your food is ready. I ordered the Lor Bah Noodle, one of the popular item. 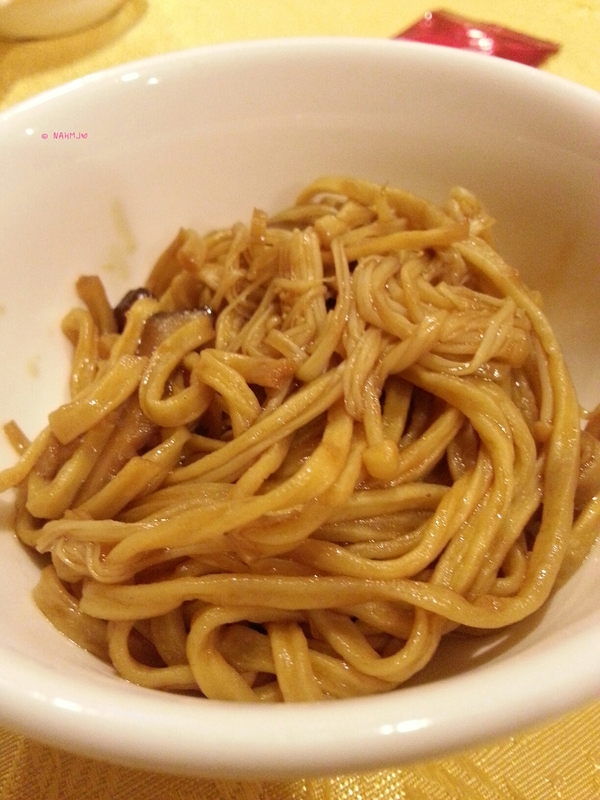 The noodle is fragrant, soft with slight chewiness. It has some Lor gravy (the gravy that was used to cook the Lor Bah) mixed with the noodles and chilli as I asked for spicy and perhaps some other condiments were added too. The Lor Bah was soft and it almost melted in the mouth. Personally, I find it lacking in the Lor fragrance. The Lor didn’t penetrate into the entire piece of meat. 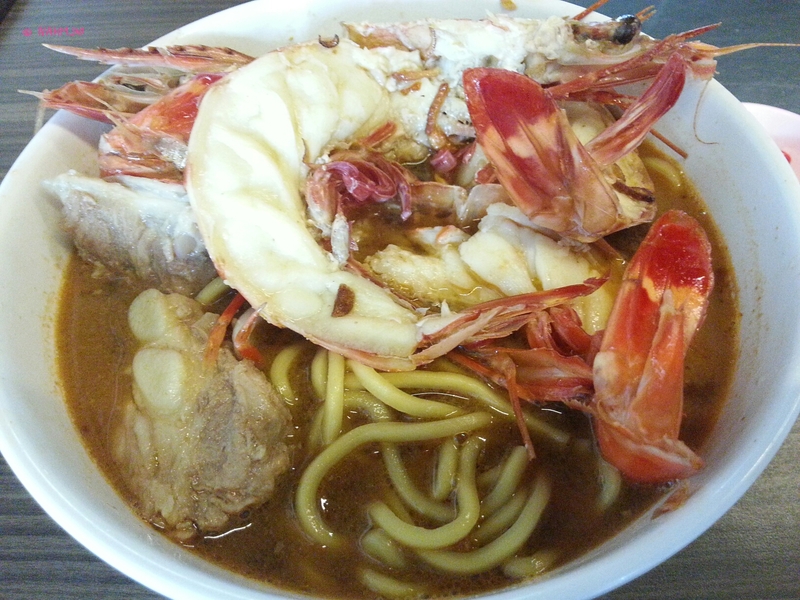 The other popular items in I Want My Noodle are Double Roast and Aromatic Prawn Noodle. The best part of my meal was having the Sago Pudding. I was mesmerized by the goodness of the Gula Melaka. I finished every single drop of the Gula Melaka. 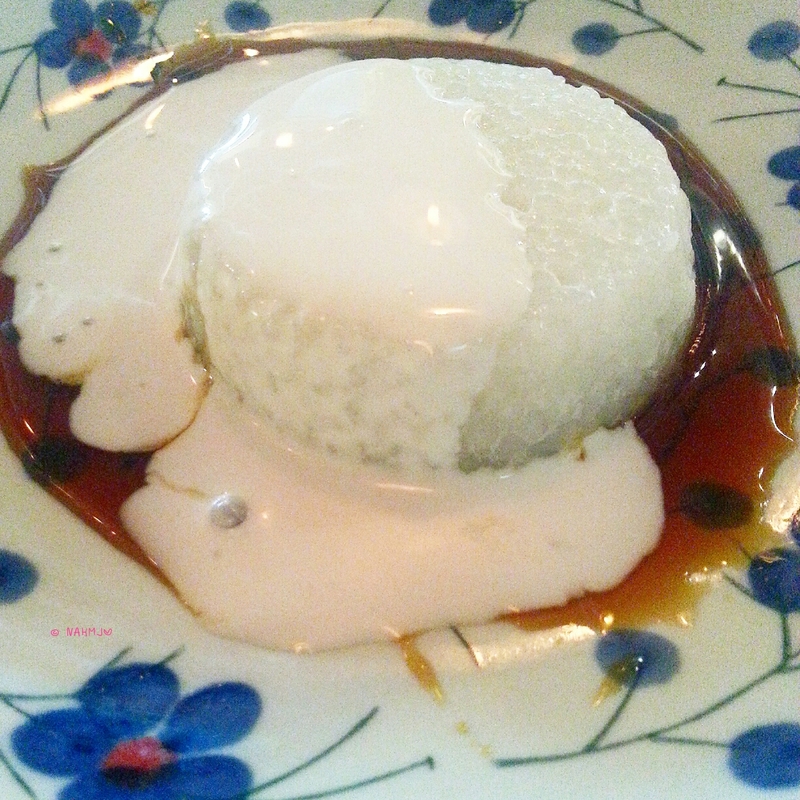 Can I have more of the Gula Melaka the next time?! It was simply awesome. 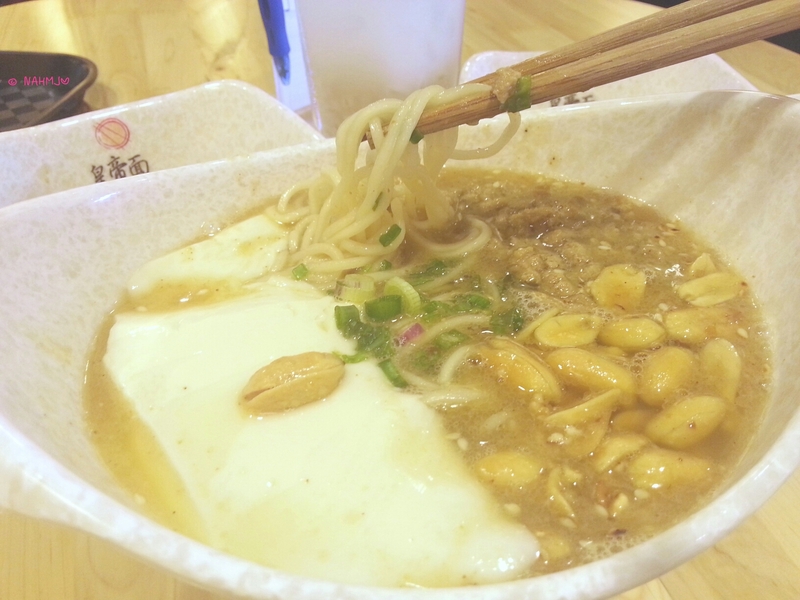 No doubt about returning to I Want My Noodle, especially for the Gula Melaka on the Sago Pudding! And of course the noodles too.